So far I have LOVED the creative splatters. 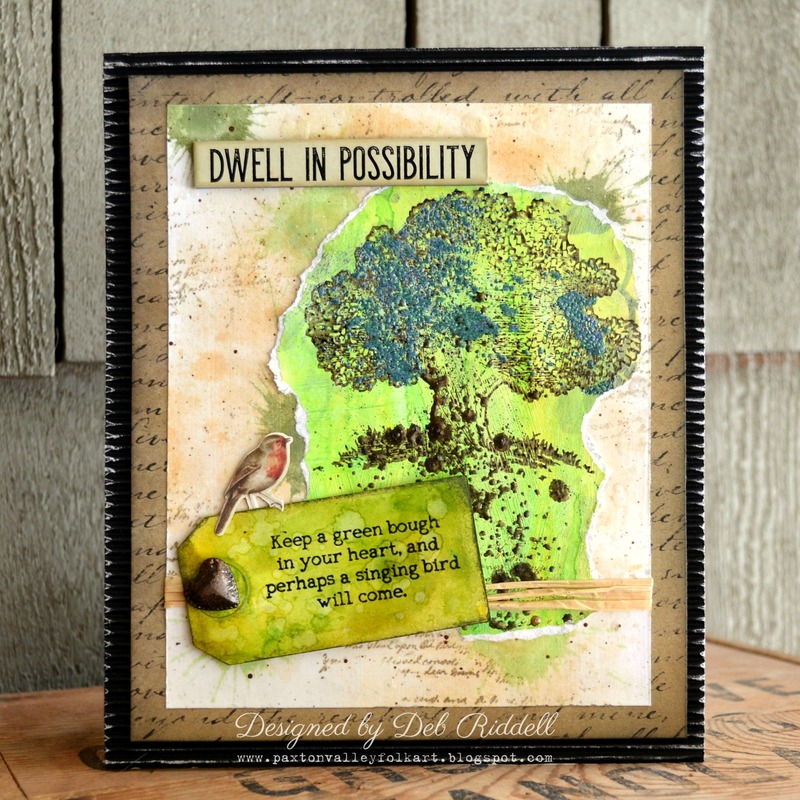 You have made this first half of March so exciting, and if you haven't entered yet, or you want some more inspiration, check out these AMAZING pieces from the second half of the Design Team. Splattering?!?... YES, please! There is something very freeing about splattering. You have to let go and let it be. Not to mention that it is fun... well for me anyway. Having taught splattering techniques at various workshop classes, I know that it is a source of stress for some. The trick is to be relaxed and loose of hand and start with less because you can always add more. For this month's challenge, I created a canvas with splattered glitter emboss powders. I used two different splatter techniques including one that I taught as part of my Emerald Creek CHA 2017 class. Drop by my blog to learn more. I know I have days when I need to remind myself of the sentiment I put on my dress. Art helps me remember that happiness and health are the most important things in life. I love to splatter, but I made sure to splatter all the things for this project! 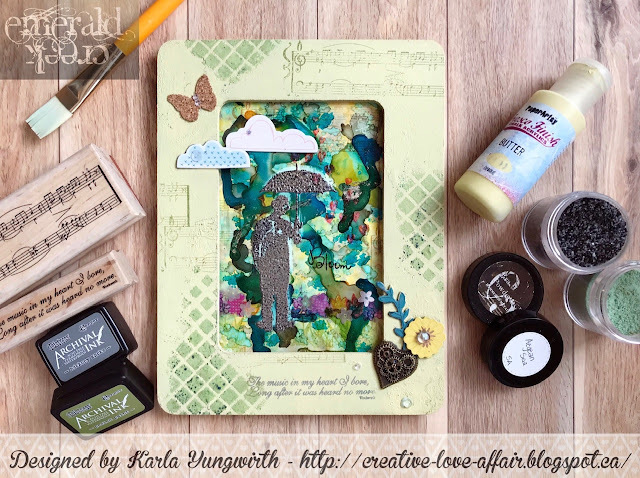 I have a full tutorial for you over on my blog today. I am so excited about the "Splatter" Dare Challenge this month! I created a Gladiolus Card using lots of distress paint and other fun mixed media details. Stop by my blog to see the tutorial and step out photos. What a fun dare this month! 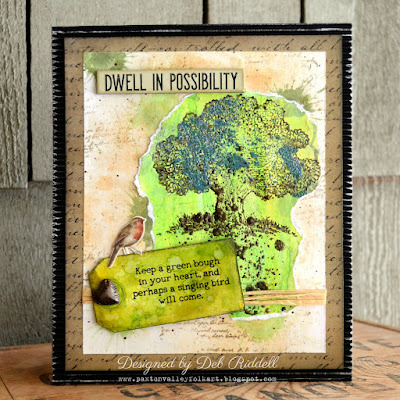 I had a great time splattering Distress stains, acrylic paint, water and Emerald Creek embossing powders while creating my Dwell In Possibility mixed media panel, hope you can pop by my blog for the how to. To enter this month's Splatter Some Fun Dare, use the InLinkz below. Remember to follow the challenge rules as posted on the right sidebar of the blog, in order to be eligible. All of the Creativation and post show orders (Thank You Seth Apter, Huge Hugs) have shipped as of today. And I am rapidly catching up on blogging and post show project creations. Let's bring on the SPLATTERS! use paint, powders, ink, coffee, tea, pastes or whatever you think you can splatter and join the Design Team for your chance to Win. When I saw the theme for this month's dare, I was so excited! I couldn't wait to clean off a space on my work table to fling around some paint, ink, water and yes, some embossing powder to get my splattered background. I even splattered my butterfly with that beautiful Onyx Frost embossing powder! 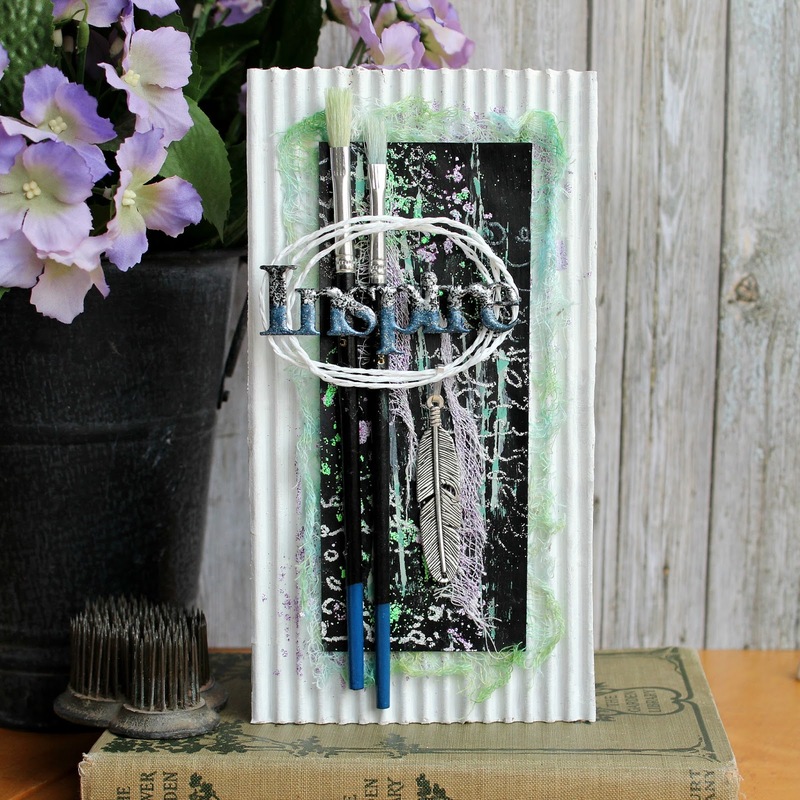 I hope you stop by my blog to see how this wall hanging came together. Rock the Red Dare with her Guest Artist at Creative Carte Blanche entry. 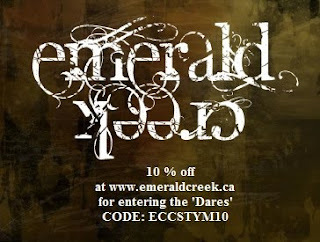 Anne please email Kim at info@emeraldcreek.ca for your prize code. 1. 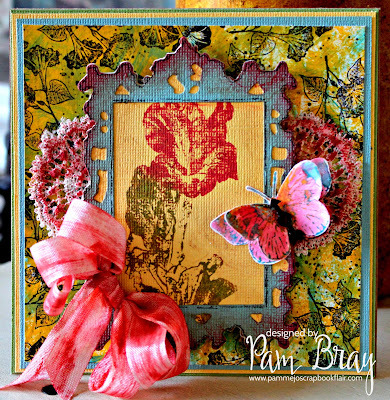 Freddy of Scrap and Stamping Projects by Bubbles with "Valentine's Day Tag"
2. Kathy of Kathy By Design with "A Very Victorian Valentine Pocket"
3. 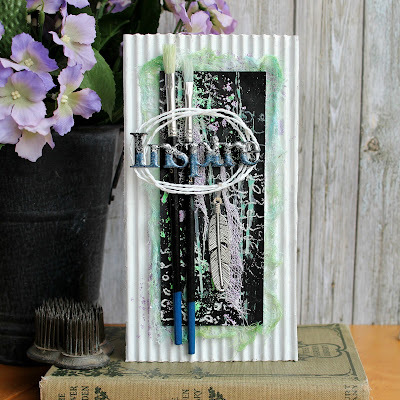 Melissa L of Honey Bee Lane with "Happy Little Stampers February 2016 Mixed Media Challenge - Tear/Rip"